Q. Does OverDrive have videos? That's right, Winnipeg Public Library now offers video content through OverDrive! The OverDrive video collection may start small, but will grow over time. 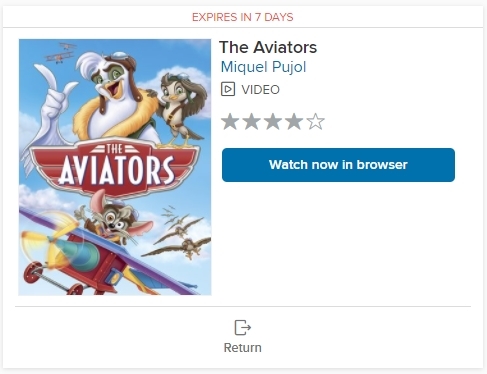 You can also watch OverDrive videos using a web browser on a computer, tablet, or phone; or from within the OverDrive app from the Apple App Store and Google Play Store. When using the OverDrive app for Windows, videos will launch in your computer's default browser. Please note: OverDrive videos are not viewable in OverDrive's Libby app, which is optimized for reading. In a web browser, or the Windows OverDrive app, a "Watch now in browser" button appears on your "Loans" page. Selecting this button will start the video playing in your web browser. Hovering your mouse cursor, or tapping your screen, will cause playback controls to appear. In the OverDrive app for iOS or Android, an "Add to bookshelf" button appears on your "Loans" page, instead. Selecting this button will cause the video to appear in the app's bookshelf (just like your eBooks and eAudiobooks). Tapping the title in your bookshelf will start video playback and tapping your screen will cause playback controls to appear. Videos can be returned early, and we ask that you do so, if possible. 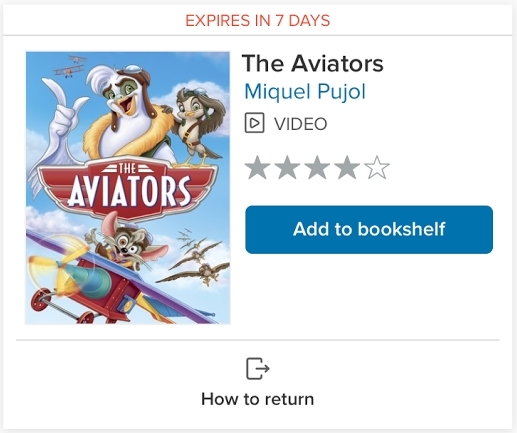 If you've either started playback in a browser, or added the video to your bookshelf in an app, then the video can only be returned from the app's bookshelf (through a long-tap on the cover, or through the bookshelf's "Edit" option). If you haven't added it to the app or started playback in a web browser, then you can return it using a link under the title in your "Loans" page on the OverDrive web site.